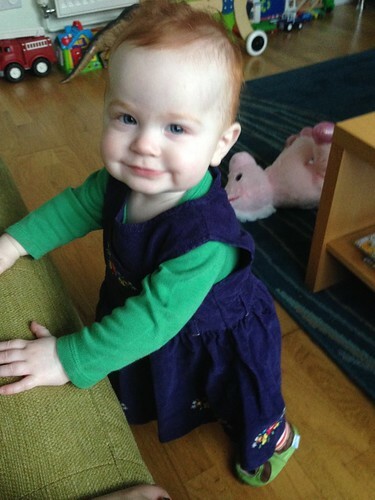 Our smiley girl is now ten months old and is >this< close to walking. So we went to Clarks for her first shoes. 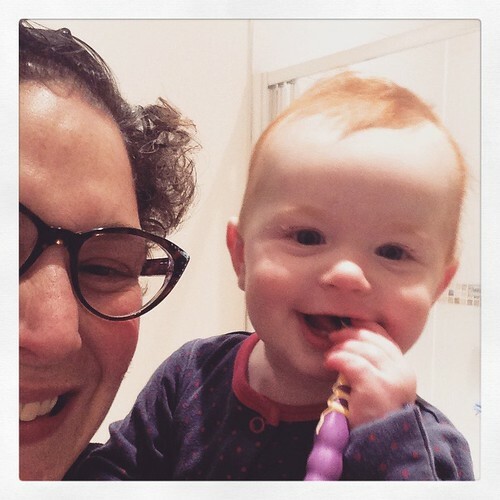 And started brushing her teeth with her first toothbrush. We have been spending cold winter days visiting London's museums. 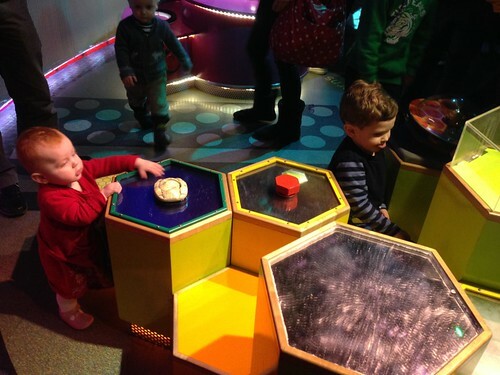 Junior and Juniorette enjoyed learning about hexagons at the Science Museum. 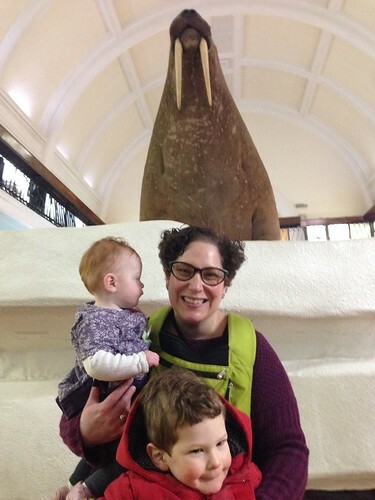 We also saw the walrus at the Horniman in Dulwich. 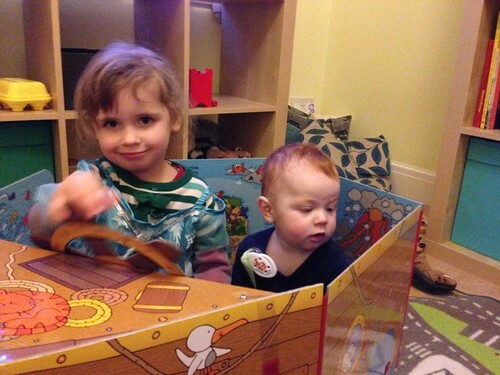 "Yeah, I'm the Captain of the ship. No big deal." 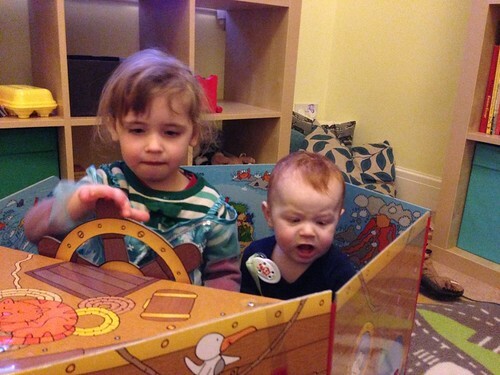 "Ummm, Captain, I don't think you should push that button..."
"Ack! Mayday! SOS! Bail out!" 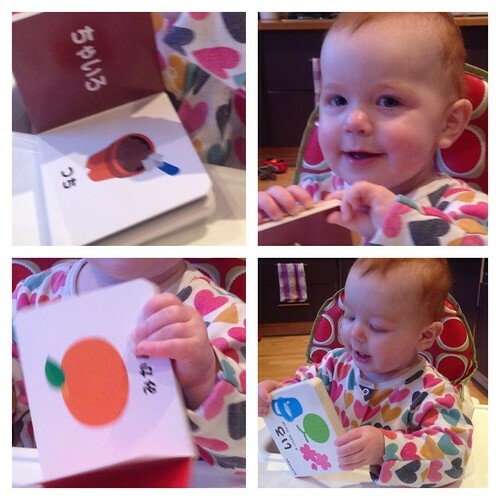 And she is teaching herself the colours in Japanese. But one of the funniest things is watching her do things that Junior did at the same age. 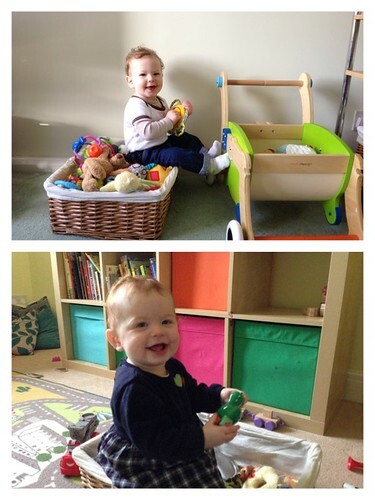 Same basket, many of the same toys, same self-satisfied smile. 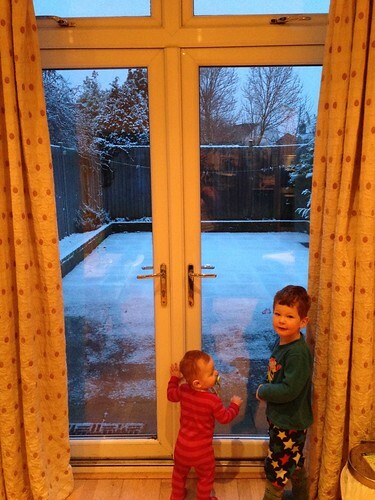 And waking up to snow was a thrill for all of us. 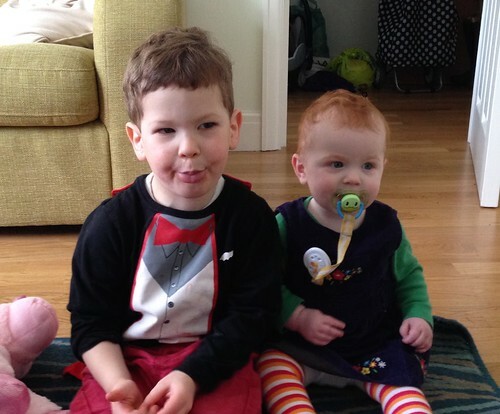 She's too small to play in the snow this year, but it won't be long before she follows in her brother's footsteps. He's her favourite role model.